Why is document management for real estate an important aponsideration for realtors? 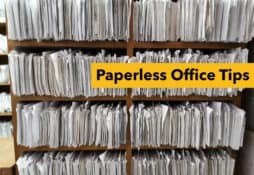 One of the most common sights in most real estate firms is endless piles of paperwork from legal forms, contracts, disclosures, agreements, property brochures, and so much more. Filing cabinets, stacks of paper, ledger books, and boxes of receipts were once standard in any office. Inevitably, the paper wanted would be at the bottom of a stack of papers that had not yet been filed, wedged inside a ledger book, or disastrously misfiled. 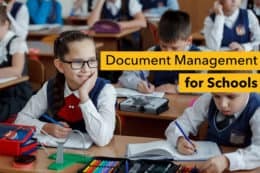 Document management for schools or otherwise, is the creation, control, and conservation of pieces of information. Schools tend to develop an amazing array of documents, ranging from student papers and records of grades, attendance and behavior up through overall curriculum alignment and financial management.